Cruising has become the fastest growing sector in the travel industry with more and more people taking to the high seas with companies such as Royal Caribbean, MSC and Princess Cruises. Harvey Travel have a long association with the cruise industry and handled the first cruise ship that ever came to Dunmore East in August 1988 called the Royal Viking Sun. We have a deep knowledge of the cruising industry and the itineraries both in Europe and the Caribbean are very conversant to us. 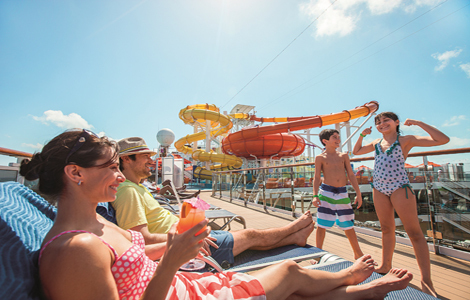 We feel that the big selling point with cruises is the fact that you can wake up in a different port on a daily basis. This along with the good food, onboard entertainment and the variety of destinations makes it one of the best holidays available to holidaymakers of all age groups. If you are thinking that a cruise holiday may suit you contact us the cruise experts and we will find an itinerary to suit your requirements.